Titanium ethoxide (387-36-3) is colorless liquid. It is also known as Titanium ethanolate and Titanium ethylate.Titanium Ethoxide (3087-36-3) is a colorless liquid. It’s also known as Titanium Ethanolate. Available in multiple kind of packaging. 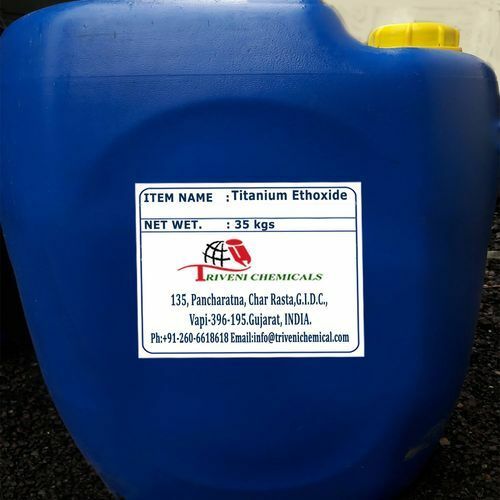 Triveni Chemical is one of the leading suppliers of Titanium Ethoxide in India.